PRICE JUST REDUCED!! 5 Year Warranty, Rent to own option, 90 Days same as Cash, Free Delivery! New 12 X 32 Deluxe Lofted Playhouse with 2 lofts. Exterior with 5/8" T1-11 Pressure Treated Siding Limited Lifetime Warranty against termites and fungal decay. 66% Thicker than many competing siding products.. 24" OC Studs & Trusses, Doubled Under Seams. Comes water sealed with 4 year water sealer. 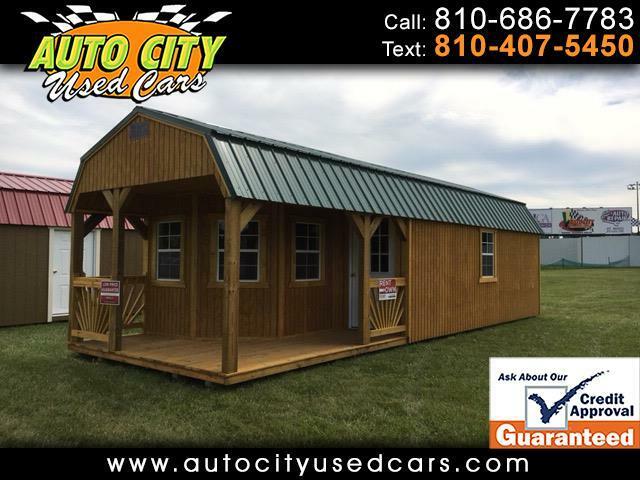 Auto City Used Cars is an authorized Old Hickory Buildings dealer. Message: Thought you might be interested in this 2018 Old Hickory Buildings Deluxe Playhouse.